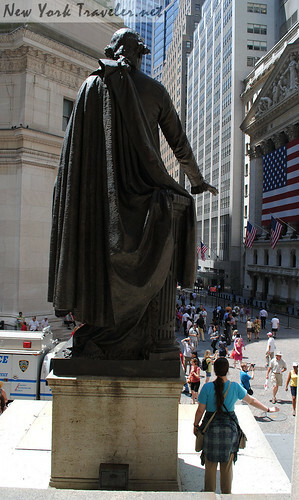 The very first capitol building of the United States of America was here on this site, on Wall Street in lower Manhattan. 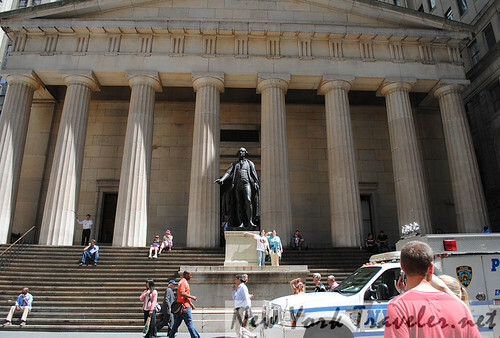 The building was called Federal Hall and was constructed in 1700. 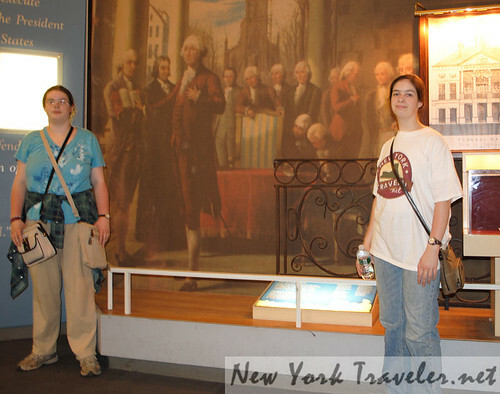 It was where President George Washington was inaugurated as the first President of the United States. Unfortunately, the building was demolished in 1812. 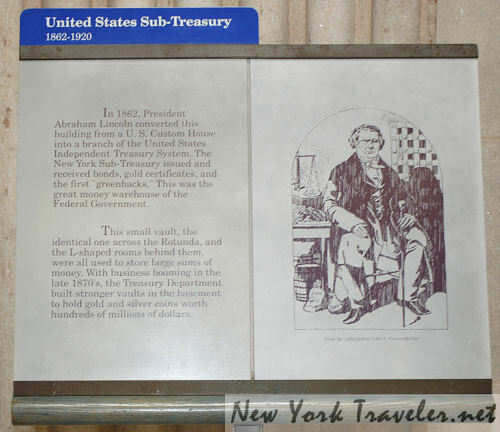 The new one was built in 1842, as the New York Customs House and sub-treasury building. 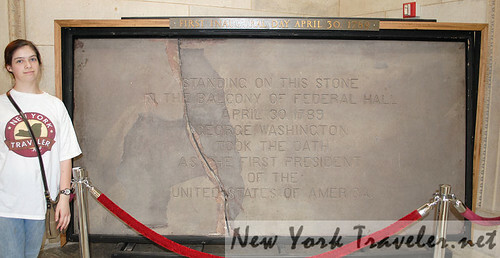 It’s now the Federal Hall National Memorial. 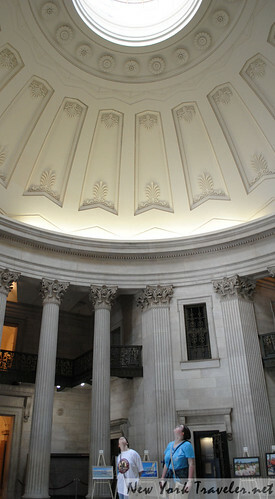 It’s free to enter and view the spectacular architecture and enjoy the many displays of New York’s financial district. 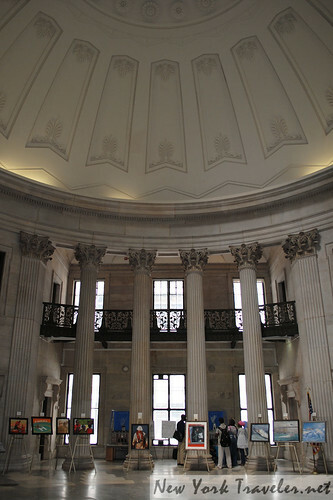 In 1920, a terrorist bomb detonated in front of Federal Hall killed 38 people and wounded 143. The perpetrator was never discovered, but many believe it was the act of an Italian mafia-type group, protesting American capitalism and labor union troubles. Of course, when we visited all was quiet. 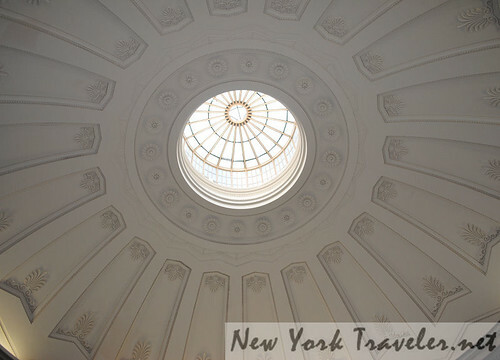 You peruse the Federal Hall interior at your own pace, looking at various displays and signs. 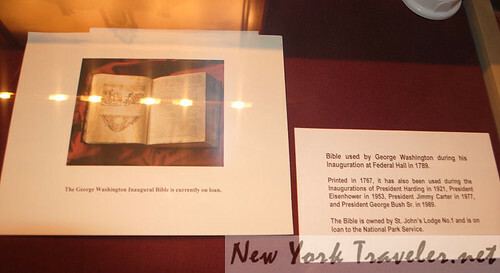 The Bible used by George Washington for his inaugural was on loan! I was disappointed. 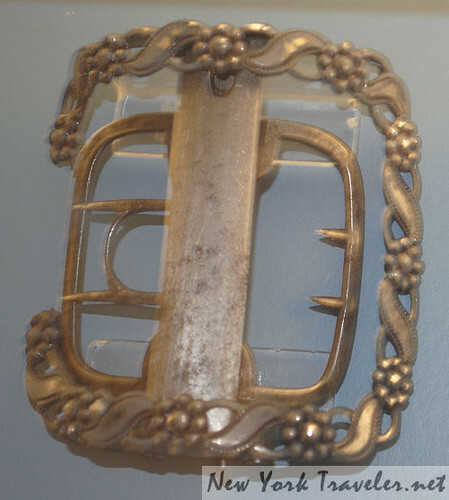 Oh, but we got to see George’s boot buckle. Yay. 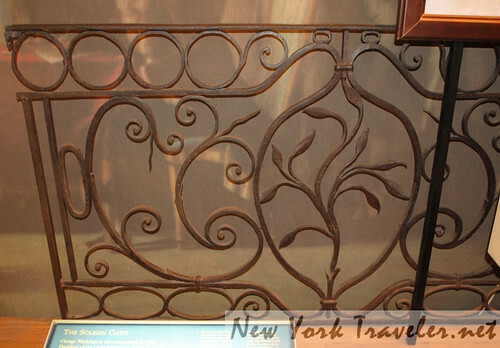 And somebody had the sense to save the iron balcony rail that Washington leaned upon as he waved to the American people on Wall Street. 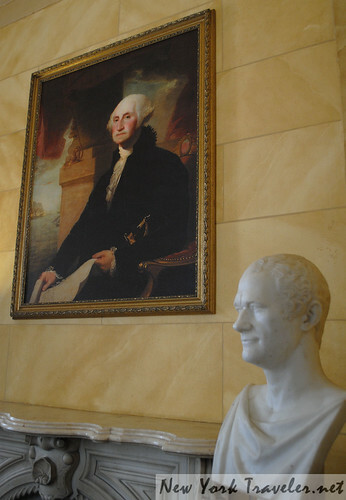 One small corridor was devoted to Alexander Hamilton. This was lovely. That bust was done shortly before Hamilton’s untimely murder in 1804. 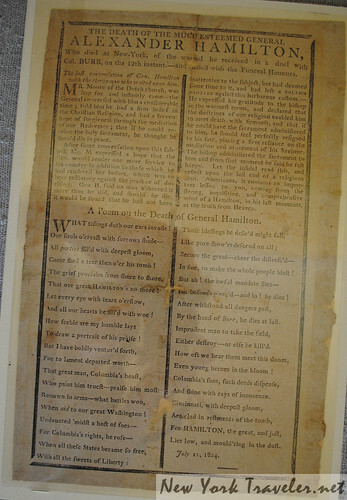 His wife, Elizabeth Schuyler Hamilton, kept it in her home when she moved the Washington, DC, after his death. She always said it was the best likeness of Hamilton. If so, then Alexander Hamilton looked strikingly like the plumber guy I know at Home Depot. Wow. 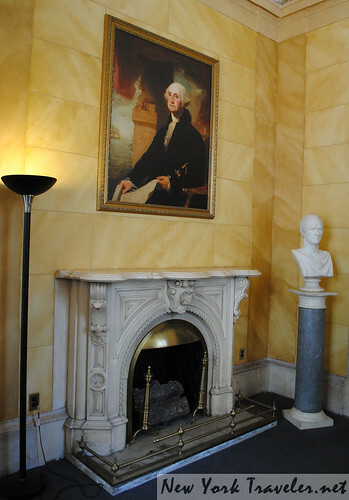 The bust stands prominently beside an old fireplace, an old painting of Washington, and one of Hamilton’s old lamps. Haha, kidding about the lamp! Hamilton’s things are temporarily on display here, until his own national monument is finished. Can you believe that Hamilton has not have a national monument of his home?! Renovations are currently underway in Harlem (where Hamilton owned land long ago) at the house he and Elizabeth called The Grange. The house is due to open at the end of this year. We are going to see it soon! 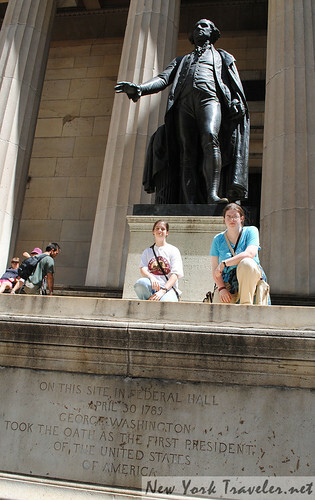 After our exploration of Federal Hall, we ventured further out to see more history buried in lower Manhattan. Stay tuned!